Prepare for your next job interview. Become familiar with the types of challenges and tests companies use to evaluate digital product designers. Practice your product & UX design skills. Step up your career and become a better designer by regularly working on your core design skills. Improve your portfolio. Showcase our real challenges in your portfolio, rather than unsolicited visual redesigns. Interview designers. 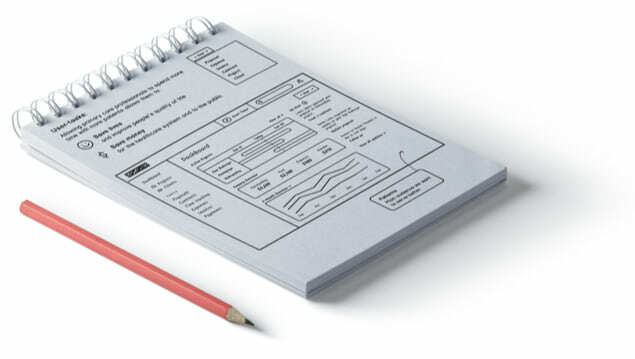 Use our exercises to evaluate design candidates for your company or organization. Artiom is a product designer based in Berlin. He most recently published the Amazon Best-Seller, “Solving Product Design Exercises”. Prior to publishing, Artiom led the design of various products at WeWork and worked closely with startups to develop their products and design culture. 81% of Americans want to write a book. In fact, 31% of all e-book sales in the Kindle Store are self-published e-books. Design a product for self-publishing a book on Amazon to help decrease the entry barrier to self-publishing. Design a product for self-publishing a book on Amazon, decreasing the entry barrier to self-publishing. Design a dashboard for a freelancer to manage, monitor, and plan their client work. Millions of animals are currently in shelters and foster homes awaiting adoption. Design an experience that will connect people looking for a new pet with their ideal companion. Provide a high-level flow and supporting wire frames to help adopters find a pet that matches their lifestyle, considering factors such as breed, gender, age, temperament, and health status. Weekly and 100% free. Unsubscribe at any time. Learn how to solve design exercises and to create your own challenges.